Obama blames banks for not lending. Being recipients of TARP funds, the banks are apparently supposed to be compliant to the President, subordinating their own interest to Administration policy imperatives, simply acting as conduits in passing the TARP funds along with their own funds to those preferred businesses and the public regardless of the bank’s own accountability to operate as a going concern, repay the Government TARP infusion, and honoring their obligations to shareholders, other creditors and customers (here) . But are the bankers simply “hoarding” both TARP funds and their own capital depriving a suffering economy from the credit it needs to expand and employ those who are unemployed? So Mr. President, if you had any clue about the Financial System, why were you spending time at the White House with those “Fat Cat” Bankers you so despise and not chastising those Federal Bank Regulators who keep forcing that banks increase their capital reserves? Why not point that finger at the Administration’s Regulators where the blame really belongs! 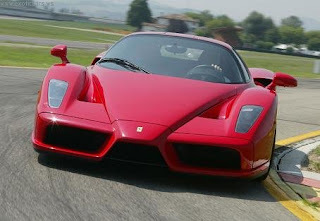 When I arrived home Wednesday night, I happily announced to my wife “We have to buy a brand new Ferrari”. I quickly explained to her that we must contact the bank right away to finance the purchase of a new Ferrari. If we don’t, I informed her, “we are certain to go bankrupt”. You see, this is exactly what I had just heard from the President of the United States , Barak Hussein Obama. In an interview with ABC News’ Charlie Gibson, Obama has recently made the claim that the only way to save our nation from bankruptcy is to create a brand new unfunded government entitlement program. In Obama’s words, if the Senate fails to pass the latest version of Obama-care, “the Federal government will go bankrupt”. While there is wide speculation about the eventual cost of Obama’s government run health care takeover, everyone with rudimentary math skills agrees that the total cost of this program ends in the word trillion. So please help me out here. Our government is on the verge of financial insolvency largely because of its unfunded healthcare liabilities, and the solution is to create an even larger unfunded healthcare liability? Isn’t this the same thing as saying that someone who can not afford their current mortgage payment should go out and purchase a bigger, more expensive house with an even larger mortgage payment? If a fifth grader came to me with this logic, I would strongly urge this child to spend another year in fifth grade before moving on to the next level. But, this is not the inexperienced logic of a fifth grader.. This patently absurd assertion was made by the President of the United States . Because the President chose to repeat this fallacy multiple times this can not be characterized as a simple misstatement. Therefore, at least one of two things must be true. Either the President lacks the mental deduction capabilities that would be expected of a child entering the sixth grade, or Congressman Joe Wilson Regardless of which alternative is true, at some point we all must ask ourselves, is someone falling into either category fit to lead the free world? was right (You Lie). So, to my friends out there who are struggling with their current mortgage, I wouldn’t go out and buy that bigger house just yet. And as for my Ferrari… well…. my wife still isn’t onboard with the President’s logic, but please wish me luck with the bank. In the World of "Too Big to Fail," Size Really DOESN’T Matter on Wall Street. 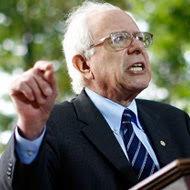 The Congress and more specifically, Socialist Bernie Sanders of Vermont pushes Government restrictions aimed to break up Corporations before they become too big too fail. Given that this is hypocrisy since Sanders rushed to rescue both Fannie, Freddie at cost of Billions to taxpayers last year. What is his real motivation? 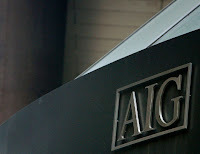 The AIG bail out of last year cost taxpayers some $180 Billion based on the proposition that it was too big to fail. The AIG rescue was predicated on its inability to meet credit default swap obligation to major counter parties inclusive of Goldman Sachs and JP Morgan which in turn whose failure would cause massive systematic risk to the financial system. Of the AIG TARP funds distributed, it is estimated that $50B went to Goldman, something less to JP Morgan the two parties allegedly of most concern to Geithner at that time. Wouldn’t it have been far less costly to simply bail out Goldman and JP Morgan at a cost of $100B than to bail out AIG? Peter Wallison in his Wall Street Journal article, “Lack of Candor and the AIG Bailout” (here), dated Nov 27, 2009 points out that Inspector General Neil Barofsky noted that Tim Geithner then President of the NY Fed Bank apparently did not believe that the financial condition of AIG’s credit default swap counterparties was a “relevant factor ” in bailing out AIG. So isn’t it inconsistent for Geithner to now justify the massive AIG bailout, the imposition of draconian restrictions on derivatives, capital requirements of banks and yet at the same time suggest that there was no threat to then AIG CDS counterparties, effectively admitting his decision had nothing to do with systematic risk? “If recent history is any guide, when the feds stage their next intervention, they will not define “systemic risk” and they will refuse to release the data underlying their decision. To this day, taxpayers can only guess at the specific reasons behind the ad hoc rescues that began with Bear Stearns in March of 2008. Now Team Obama seeks to codify the bailout policies of the last 18 months. If corporation size was not the cause of crisis, if several large financial firms were unlikely to fail without TARP funds, if the Treasury Secretary then the head of the NY Fed was unconcerned about systematic risk, then why the rush to bail out those Too Big Too Fail? Why the rush to break up larger firms? Does this amendment allow the Federal Government to become the largest predator in the country, whose main objective seems to be more aligned with its own survival and the expansion rather than to expand competition in the economy? Is this legislation simply another attempt to deliver additional leverage to the Federal Government to exert control over the private sector and thus shaping the economy in its own image, regardless of the choice of the electorate, the taxpayers and consumers? Given the apparent lack of logic in the Federal Government’s choice of winners and losers over the past year, how would the proposed amendment benefit the economy? is it that one of the young people in this is involved in the Lincoln High School Cheerleading story. Here. This is not for kids. Are you ready to throw these liars out yet?